An impression from visiting a shoemaker at his workshop. 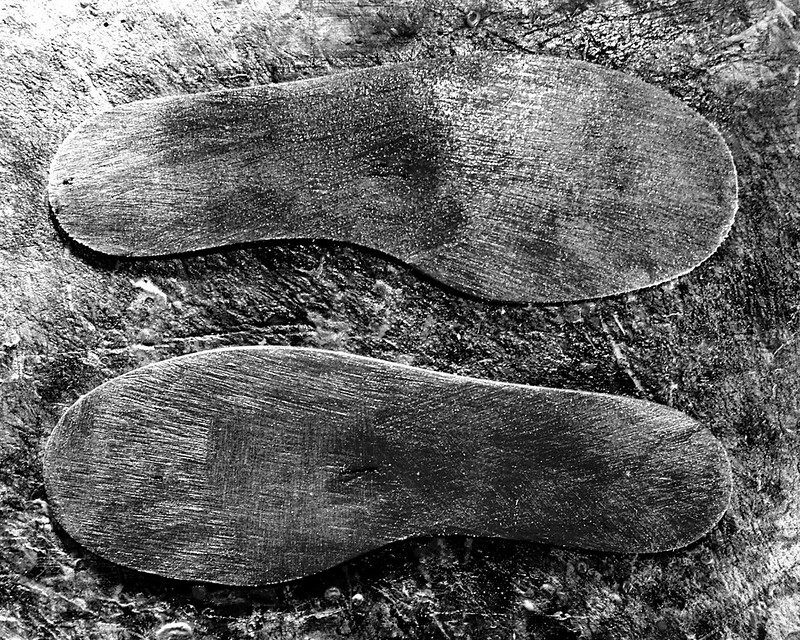 This are the inner soles prepared for further processing. It's a really interesting shot. I assume the soles are placed on the same leather that the soles are made of and that's how you got the same gritty texture? This is very nice, both the subject and the processing. This is like a pencil etching. Just right for shape and texture. I like the fact that it represents a visit to a craftsman. It has that richness in it. I have a high respect for men who work well with just their hands and find your subject delightful. Asher - thanks. Craftsmanship means more than working skilfully with your hands - it requires deep knowledge about the materials and their properties. Of course, that's why I have so much admiration and deep respect! I don't have much to add. I like this one too, both the subject and your image, Michael. Thanks. The idea to show this one was was sparked by your comment on 'Jagged'.